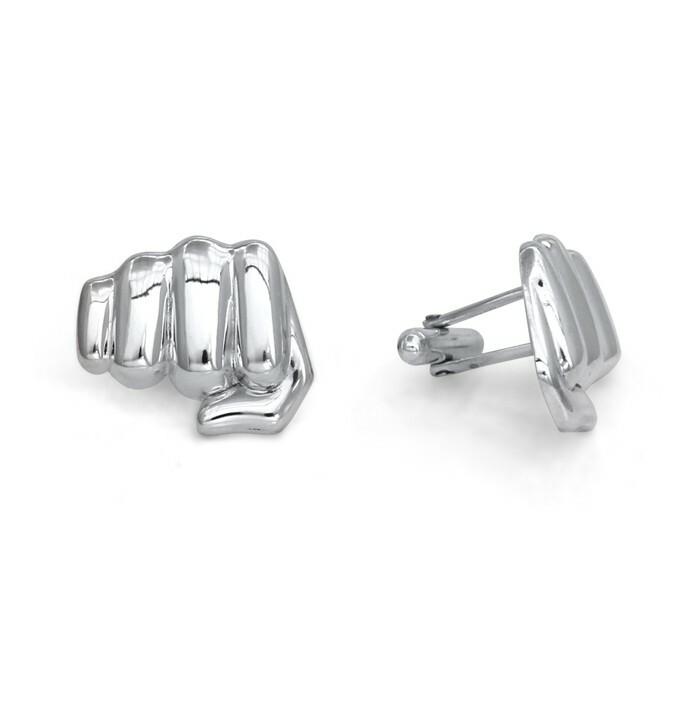 These bold sterling silver cufflinks are the embodiment of determination and perseverance. They say "Never give up! Win! And remember, there is no obstacle that is too tall for you to overcome." 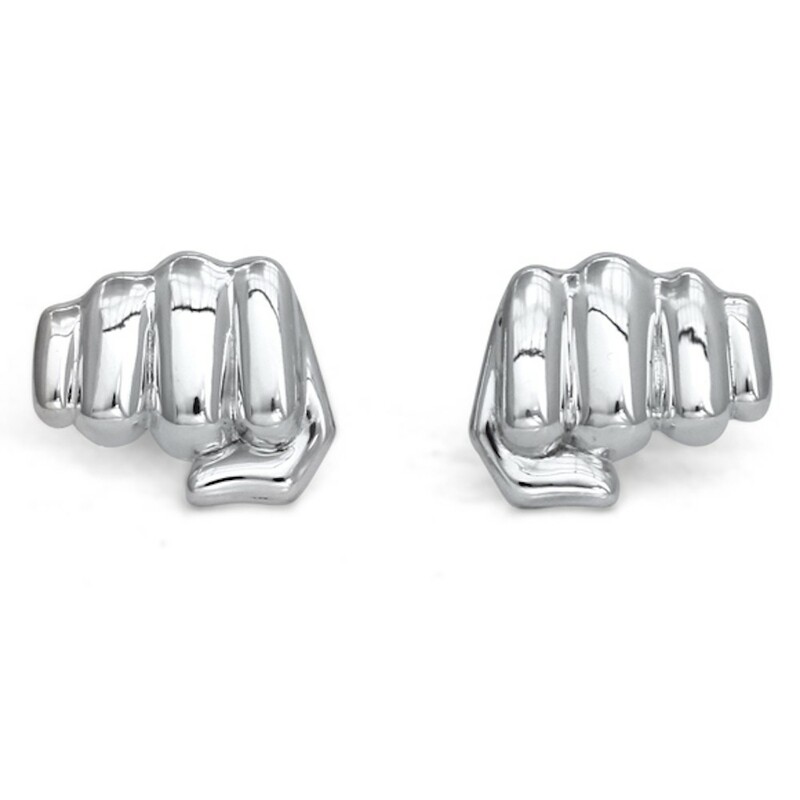 That's a big message to pack into a little pair of cufflinks, but we think these mirror-image fists carry it off! Our "Fisty Cuff" cufflinks were designed in collaboration with Mark Munroe of Addicted Magazine. When Mark mentioned to me that it had always been a dream of his to design a custom piece, I said “So why don’t we!”. And so we did. I really admire Mark, so wanted to make sure that the design reflected both his strength of character and his ability to punch through any problem toward success. Mark came to the studio and we brainstormed ideas until we landed on the fist as the perfect symbol to express what that feeling. We carved some wax models to see how that might translate into cufflinks, and were inspired by emojis of all things! You can read all about our collaboration on Mark's site. Fisticuffs was a popular sport in England during Victorian times. Victorian gentlemen used to engage in fisticuffs to settle arguments. Fisticuffs evolved into modern boxing, but unlike today where there is a lot of equipment to protect the boxers, fisticuffs invoved bare knuckle fighting. Participants would take up their jackets, roll up their sleeves and have at it. We think those guys would have approved of handmade cufflinks.